A landlord-tenant lease is a legally binding contract. So, breaking a lease in North Carolina is just like breaking any contract. Usually, there are penalties. These penalties given when breaking a lease depend on whether your reason for breaking the rental agreement is justified or not. In North Carolina, the rental laws specify that if breaking the lease is justified, you only need to provide your landlord with a notice of your intent. Although when not justified, you may be liable for paying all the rent due for the remaining lease term. If you’re a tenant in North Carolina, here is everything you need to know about breaking a lease. Under these exceptions, you may be able to move out without facing any repercussions. All tenants have a right to a decent, safe, and sanitary property to live in. This doesn’t mean that everything has to be perfectly clean or luxurious. However, it also doesn’t mean you have to live in uninhabitable housing conditions. North Carolina’s landlord-tenant laws allow subjects of domestic violence, sexual assault or stalking to break a lease and move out if necessary. You must provide your landlord with a written notice of your intent to move out. Moreover, you must also provide a copy of the safety plan provided by a sexual assault or domestic violence program. The specifics are provided under state law (N.C. Gen. Stat. § 42-45.1). You complain too much. You might be constantly calling the landlord with a new complaint and the landlord has heard enough. To get you to move. This is especially common in rent-controlled apartments, where tenants usually pay far below the market rent. You are a member of a certain class. This could be based on your gender, nationality, religion, disability or even familial status. This is against the Federal Fair Housing Act. Entering the unit without notice. This is also referred to as illegal landlord entry. A judge would rule that you have been “constructively evicted.” This would justify breaking the lease without further rent obligation. Unlike most states, North Carolina does not have a state law that specifies the amount of notice your landlord must give you prior to entering the property. Nonetheless, most landlords still give some form of notice before entering the rental unit. You can break the lease under federal law if you enter active military service. Servicemembers are protected by the Servicemembers Civil Relief Act if they need to break a lease because of a deployment or permanent change of station. You will need to notify your landlord in writing. You also need to include a copy of the military order. You can deliver the notice either by mail, by a commercial carrier, or by hand. Once the notice is delivered, your tenancy will terminate 30 days after the due date of the next rent. In North Carolina, landlords must make reasonable efforts to re-rent the rental unit. This means that you may end up only paying a fraction of the rent due for the remaining lease term. This is assuming the landlord is successful in his/her attempt to find a replacement tenant. But if the landlord is unable to find a replacement tenant quickly, you will be liable for paying rent for the remainder of your lease. Accept a subpar tenant. For example, a tenant whose credit score is poor. Rent the property below fair market value. The landlord may, however, charge you for costs related to re-renting the rental unit. For instance, the costs of tenant screening and property advertising. When you break a lease without a legal justification, you may face heavy financial penalties. Luckily, there’s a lot you can do to mitigate the financial effects. To begin with, you could offer your landlord a replacement tenant. However, the tenant must be qualified. They must have good references and a great credit report. Another way is to serve your landlord with ample notice of your reason to move out. 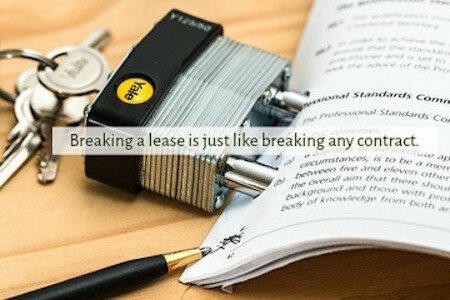 Tenants may choose to break a lease for several reasons. For instance, moving closer to their new job or moving in with their significant other. Whichever the reason, breaking a lease in NC is a serious matter. 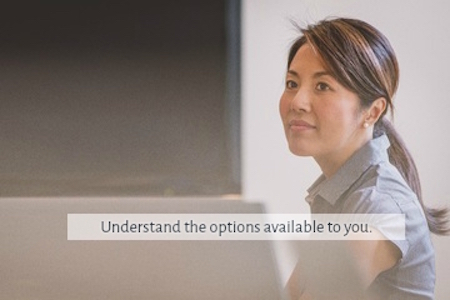 It’s important to understand the options available to you in order to protect your rights and financial interests. We hope this short guide brought to you by Schambs Property Management has helped you to understand how to get out of a lease in North Carolina.